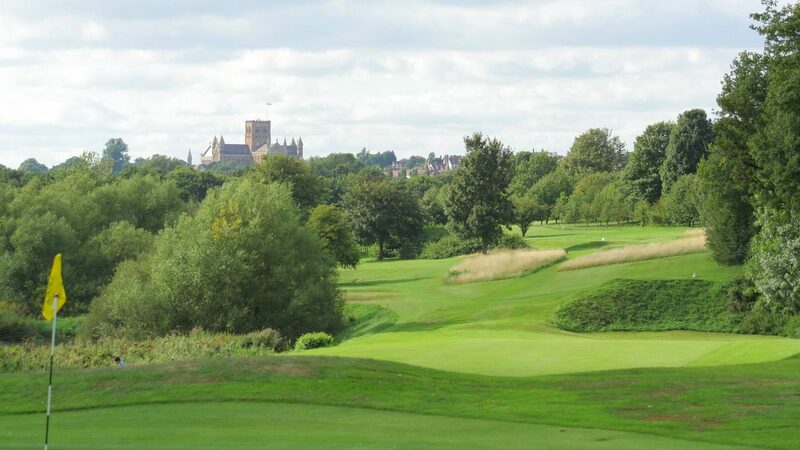 Our challenging par 72 course at Verulam Golf Club was designed by James Braid in 1905 so we are now well into our second century as a thriving members’ club situated in the heart of historic St Albans, known as Verulamium in Roman times. Verulam is an established parkland course that has matured over the years to provide a stern test of all aspects of the game. At all holes the tee shot sets a premium on accuracy and shot control leading to the approach to the greens that are well protected by bunkers, slopes and mounds. Once on the green there are subtle undulations that are true and fast. Out of bounds is a danger at many holes and there are tree plantations, water and the River Ver to be negotiated. Verulam presents an excellent and interesting test of golf offering a tough challenge even to the experienced golfer as evidenced in the Amateur and Professional course records of 67 and 66 respectively. At 6,429 yards from the Medal tees the course is not long. The course has a good drainage record with very few hole and course closures in the winter and in summer the ball really does run on the fast well-manicured fairways. The best scores result from being straight and having a good short game rather than long hitting that doesn’t follow the fairway. Recent drainage works on greens have improved the course even further, coupled with an extensive bunker project including a dedicate bunker irrigation system. Winter: from £25, based on 8 or more players Summer: from £41, based on 12 or more players Available Monday – Friday. Please call 01727 853327, option 4. We are situated 5 minutes from both the M1 & M25 and a 10 minute walk from St. Albans station with links to central London in 20 minutes. There is an extensive driving range and practice chipping, bunker and putting greens surrounding the traditional clubhouse.